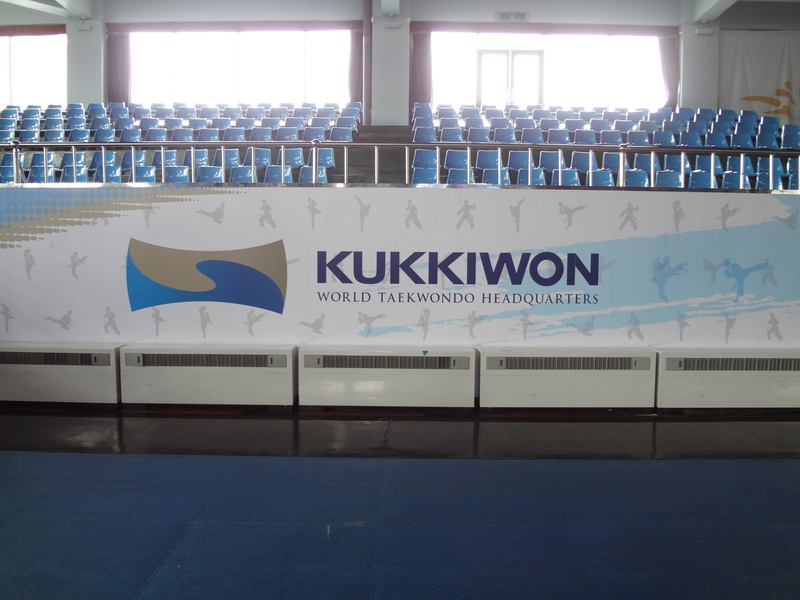 Yesterday, I took what may well be the start of a monthly pilgrimage to Kukkiwon, World Taekwondo Headquarters. Located in Gangnam, popularized by Psy, it was my first trip south of the Han River, not for horse-dancing but to visit the mecca of my favorite martial art in the world. It definitely felt like a pilgrimage, since it was an uphill trek on a side street from one of the main roads, which was lined with South Korean flags. 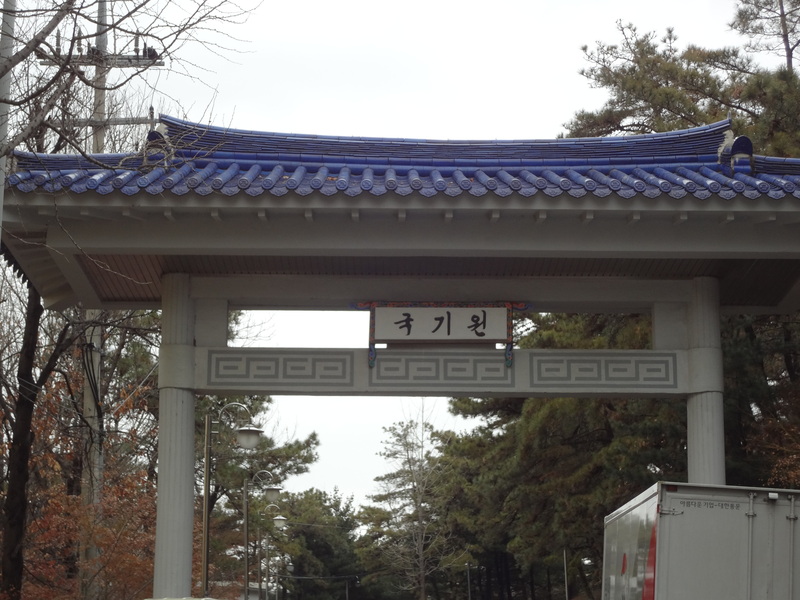 Nearing the end, I find a traditional looking arch, with the name Kukkiwon in Korean. 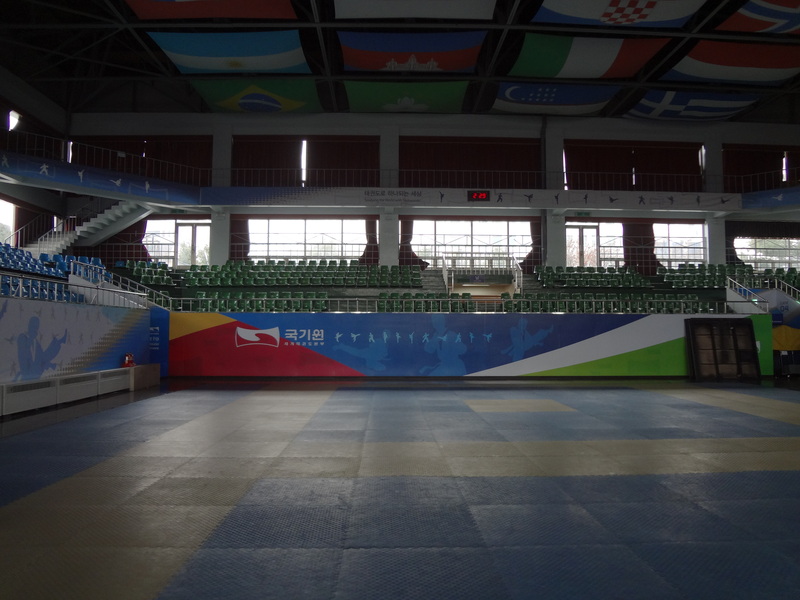 World Taekwondo Headquarters itself is, well, just a gym, but, oh what a gym! It’s quite symbolic to have a public site specifically for a sport that welcomes practitioners around the world. I suppose it was apparent that it was my first time, at least to the security guards who were mildly amused and puzzled at a (deceptively) Korean-looking woman skipping on the mat and taking photos. I had to. Please don’t judge me. I know it just looks like a gym, but to me it’s also a mecca. 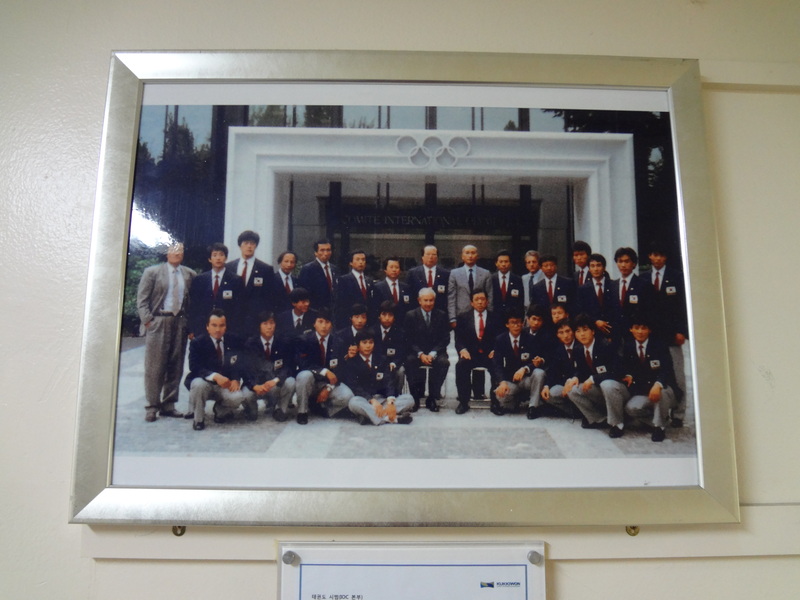 Outside the gym, the hallway was decorated with photographs of taekwondo history. 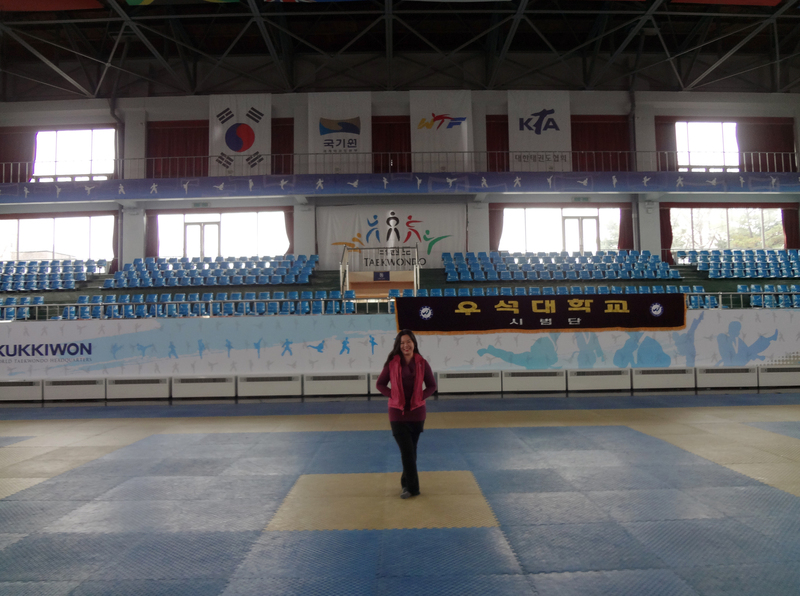 One showed a photo of taekwondo jins from North and South Korea. Another showed people practicing taekwondo on the streets of Cambodia, barefoot. Surprisingly, there were two old posters from taekwondo championships held in Manila. I even recognized some of the people in the pictures. It was a chilly foggy day in the perpetually busy city of Seoul, but as pilgrimages go, the journey was long but destination was worth it.